As I mentioned above, the tiny eyeliner pencil that I have is a Sephora freebie, and the actual pencil that you would pay for and buy at Sephora is larger, pretty much the same size as most other kohl/pencil eyeliners. 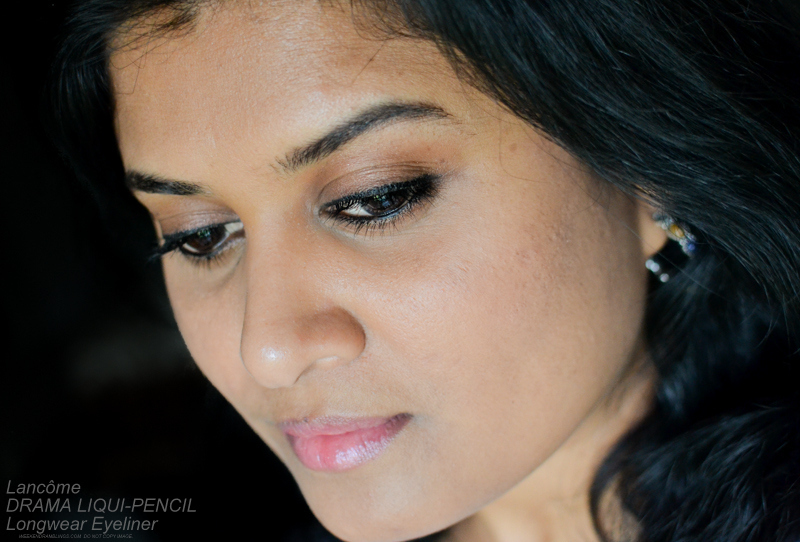 It's a basic eyeliner which you have to sharpen yourself - no twisty cap, self-sharpening gizmo gadgetry in this. 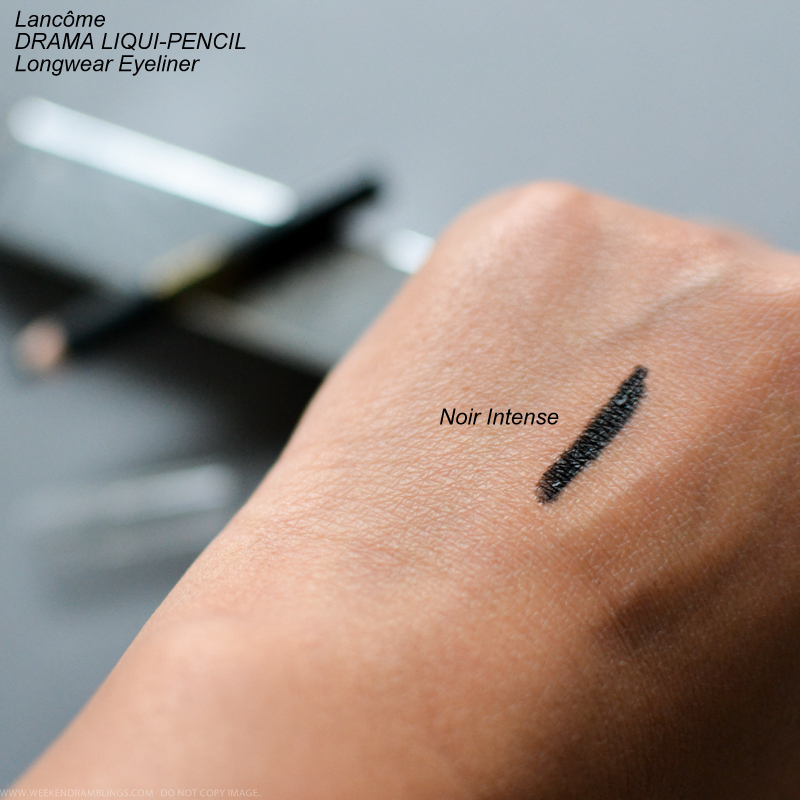 Lancome Drama Liqui-Pencil Longwear Eyeliner in Noir Intense is an inky black color. The testers that I tried out Sephora were all quite creamy and smooth, but the sample that I have feels a tiny bit dry - almost as if it needs a bit of warming up to get started. It's not too bothersome and might even be because the pencil I have is quite small and not the easiest to hold. Anyway, setting aside all the faults I could find in a freebie pencil, the formula is quite pigmented and longwearing. In fact, the pencil sets quite fast, and if you are the sort who likes to blend and soften lines, this would not work at all. It sets in a jiffy and then just stays there the whole day - even on my waterline. It even managed to survive a few hours in the kitchen. The few spots that the color had started to wear off, it was almost as if bits of the liner had broken off rather than being worn off - similar to how a long-wear liquid eyeliner would behave. 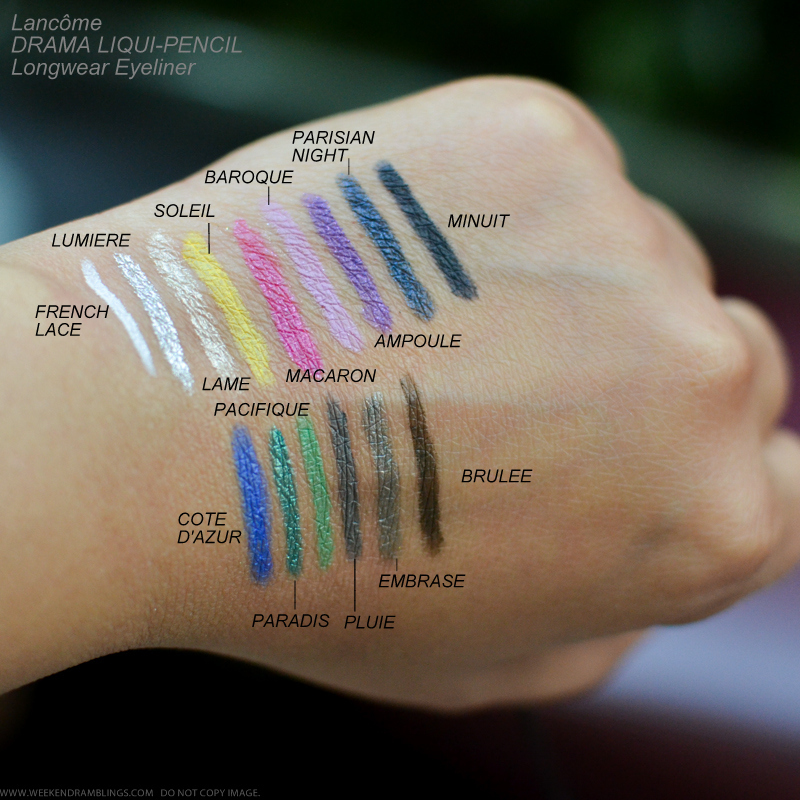 Urban Decay eyeliners have always been my favorite, but I have to admit, the Lancome version could teach it a thing or two in terms of lasting power. I do prefer the Urban Decay formula, though, especially if I was going for a smudgey liner look and want some time to work on the liner. Adding in some swatches of the other colors included in this range. 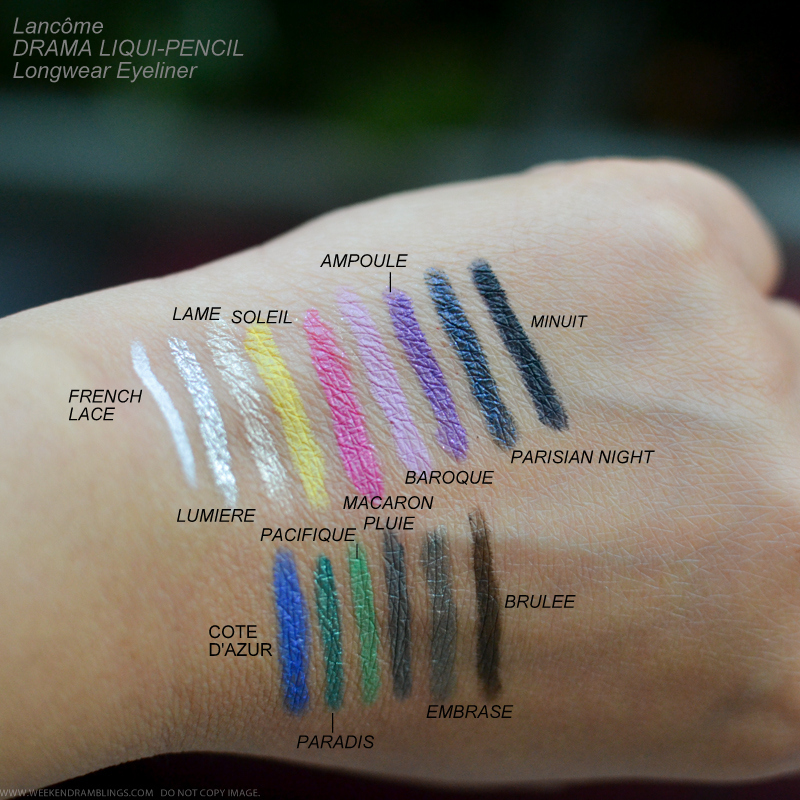 Overall, I am quite impressed with the Lancome Drama Liqui-Liner pencils. 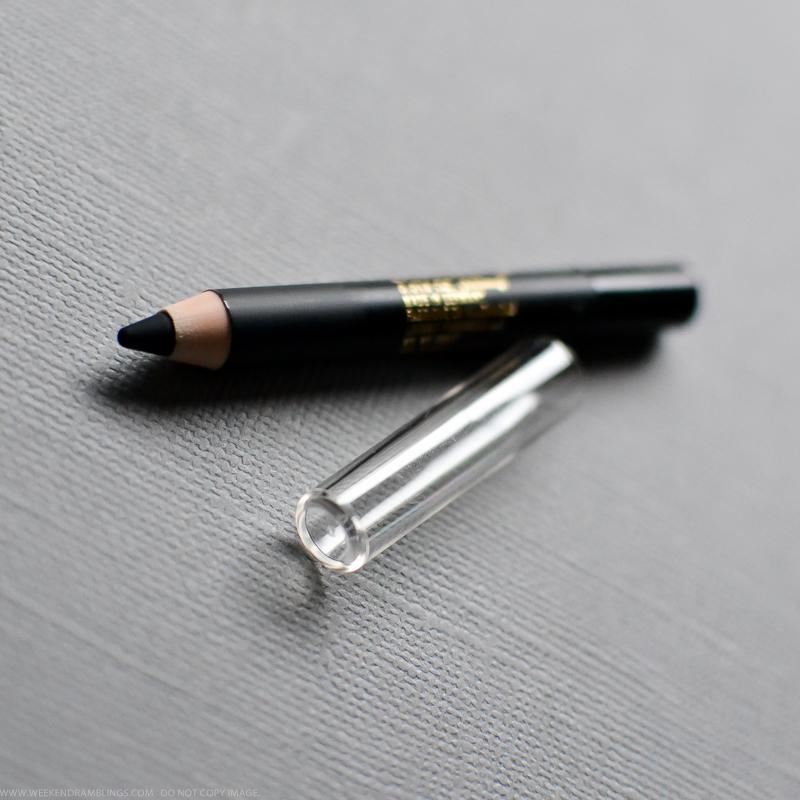 The colors are beautiful, and the formula is fabulous, especially if you are looking for an eyeliner that can last all through the day. Do give these a try the next time you are at a Lancome counter. 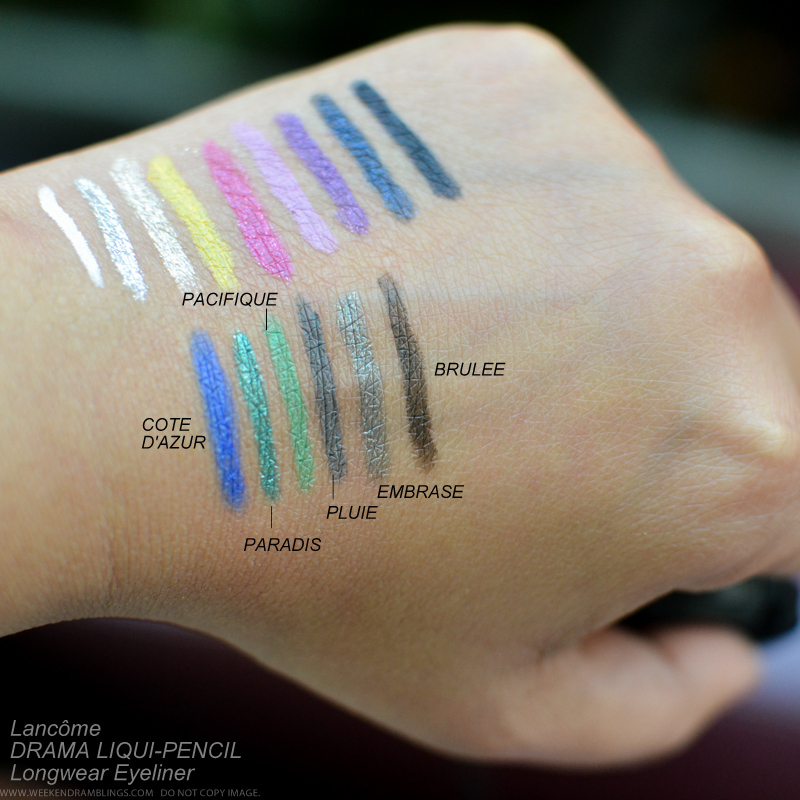 Lancome Drama Liqui-Pencil Longwear Eyeliners ($23) - available at Sephora. I used to have a lancome liner. Forgot which one. But they were so soft to use.